Growing up i think every kid hates dal :) and in south Indian homes plain dal is cooked only once in a while unlike north Indian homes where its only cooked everyday.Even then we will be upset whenever my mother made "parupp curry" but i know understand the nutritional value of dal. These days i try to cook some kind of protein in the form of pulses or legumes everyday. 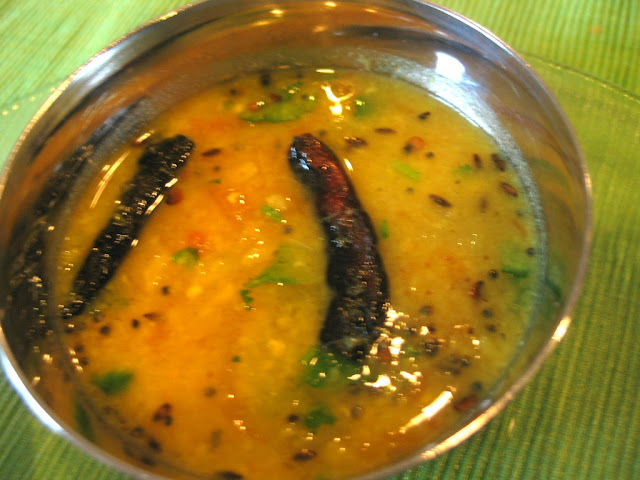 This is one of my go to recipe for moong dal. 1. Wash dal and add water , tomato, onion , garlic, chili and turmeric. 2.Pressure cook until till two whistle or till dal is very tender. 3. Just before serving mix up the dal well and heat it. 4. Heat up oil and ghee together and add hing and mustard. 5. When mustards starts to pop add cumin and whole chilli. 6. Cook for a minute and coriander leaves and pour over dal. 7. Serve with rice or roti. 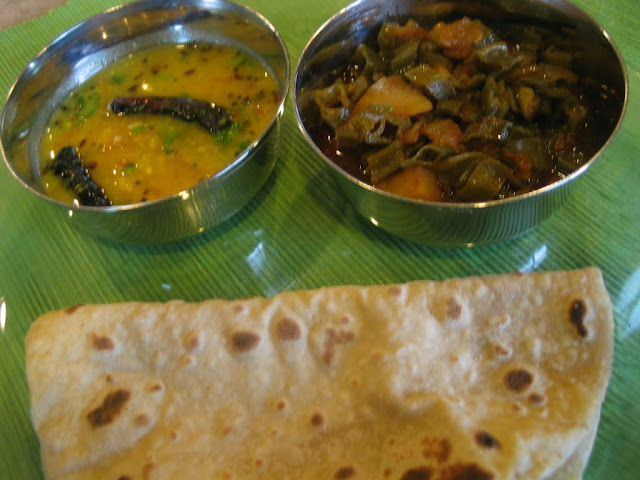 Dal curry looks so delicious..Nicely presented too..yummy!! !